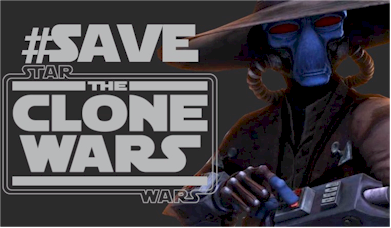 Save The Clone Wars: Bonus Content Episode Titles and Synopsises Revealed? Bonus Content Episode Titles and Synopsises Revealed? Today more Bonus Content rumors were reported by Jedi News. 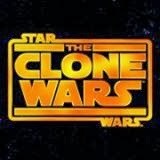 In the post "SPOILER ALERT: Star Wars: The Clone Wars: Season 6 Titles and Synopsis", Jedi News once again posted news from the German language website, StarWars-Union.de. Clone Cadet tup suffers a severe neurosis, which ultimately has the death of a Jedi master to the result. To find out the motives for the assassination, tup is returned to Kamino to investigate. Anakin was a member of the accompanying, but then they are attacked by separatists. Clone Cadet tup explores in sterile laboratories of Kamino, to find out the reasons for his shocking assassination of the Jedi master. To the Cadet of fives must penetrate deep in his consciousness: he finds a hidden code manipulation in the clone program of the Republic. After he has entered into a pact with count Dooku, Clovis suddenly finds himself in the war. Because he has brought the war to his home planet of Scipio, the Republic must intervene. From here, so far only the titles available are for the remaining episodes. The contents are not yet yet the transmitter.